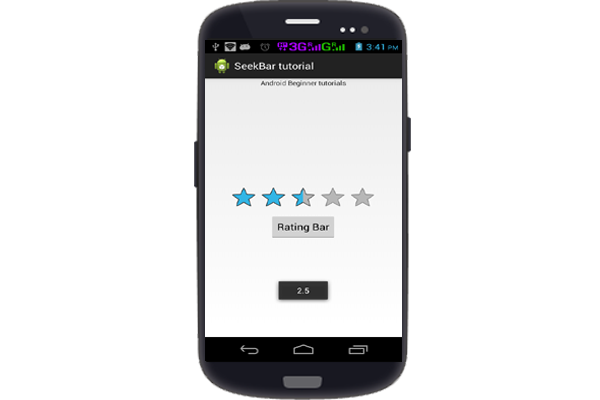 In this tutorial explain how to implement Rating Bar and how to used in xml class in android. Rating Bar implement very easy show below. The android Rating bar used to get the rating from end user, the rating bar return value in floating-point number. Android RatingBar is a subclass of AbsSeekbar class. The Rating Bar used in application get from user feedback.